Engine 48-1 goes to school! Earlier today, Engine 48-1 gave Carter a ride to school for his first day of Kindergarten. Last year, for his birthday, Carter asked for donations to be made to the Glen Moore Fire Company in lieu of presents for himself. 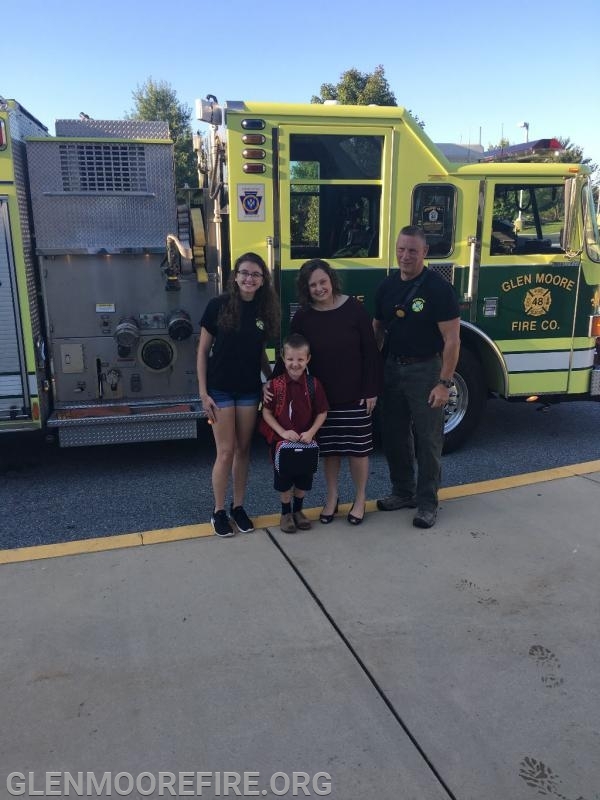 One year later, this special kindergartener got to ride in a fire engine to school! The members of GMFC would like to thank Carter for this selfless act and for his participation in the community. No matter how little, anyone can make an impact on the lives of others. A big happy birthday and thank you to Carter! Please stop by the firehouse and hang out with us.